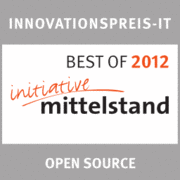 In March 2012, OSADL's QA Farm was awarded an "INNOVATIONSPREIS-IT" (Innovation Prize IT) in the category Open Source by the "Initiative Mittelstand" (Initiative SMEs). The "Initiative Mittelstand" created the "INNOVATIONSPREIS-IT" to award companies with innovative IT solutions and a high value of benefit for SMEs. 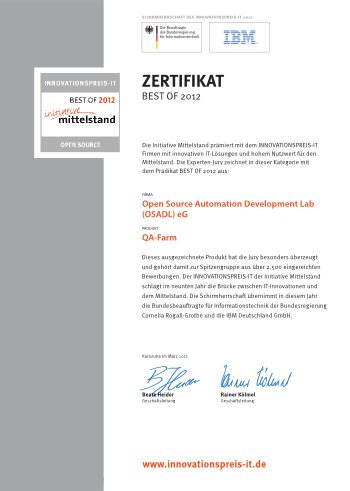 The OSADL QA Farm was certified to belong to the top group of more than 2,500 submitted applications.